IN EARLY 2016, when the Yacu Kallpa, a vast freight ship transporting timber from the Peruvian Amazon to the US via Brazil and the Dominican Republic, was detained at port in Mexico, 96% of its timber cargo was found to be ‘not of legal origin’. This was not the first time the Yacu Kallpa had been caught carrying illegally logged timber. In August 2015 US Customs had turned away a shipment of timber when it arrived in Houston under suspicion of being illegally logged. Regardless, after the Mexican stoppage Peru’s then Minister of Trade and Tourism, Magali Silva, wrote to the Secretary of Economy in Mexico to explain that the cargo ‘had all the legal documents’ required of it by the regional government – and this despite the fact that Peru’s own public prosecutor had attempted to seize the ship’s cargo before it had even left the Peruvian port of Iquitos. In their new report, Buyers in good faith: How timber exporters are complicit in plundering Peru’s Amazon, the NGO Global Witness describes the Yacu Kallpa case as ‘the biggest timber scandal in Peru’s history’. As their detailed report makes clear, the scandal is not just about the illegal deforestation of a resource that has essential ecological significance on a global scale, but is also about the fact that it was made possible through widespread falsification of documents such as harvesting plans and transport permits that point to the corruption that is endemic in the Peruvian timber industry. Global Witness claim that tree locations are routinely faked for the purpose of permit-granting, enabling illegally logged timber to appear as though it has come from legal logging zones. This matters because Peru is the 10th most forested country in the world, with around 260,000 square miles, or slightly over half of the country, covered by trees. Only Brazil holds a larger area of the Amazon rainforest. According to the World Wildlife Fund, over 330,000 Peruvian residents depend directly on the country’s forests for their livelihoods, with countless others deriving secondary benefits from it. Yet around 1,100 square miles of Peruvian rainforest are cut down each year, and around 80% of this is done illegally. Not only is this a travesty for the plant and animal communities whose habitats are being routinely devastated; it also accounts for nearly half of Peru’s total greenhouse gas emissions, giving the question of illegal logging in Peru global significance. As part of their report, Global Witness have caught timber exporters on camera admitting that they are aware of the regular falsification of documents and permits. Nor are they the first to point to the problem of endemic corruption in the Peruvian Amazon. Scholarly research in Nature’s Scientific Reports journal had already highlighted the problem, as have countless journalistic exposes. Yet when the public prosecutor attempted to stop the Yacu Kallpa in Iquitos the offices of OSINFOR, the government’s forest inspection agency, were fire-bombed by protestors and the organisation’s president, Rolando Navarro, who now lives in exile in the US, was sacked. The Yacu Kallpa was the only ship operating a route from the Peruvian Amazon to the US, and the stoppage angered both the timber industry and their supporters whose incomes and livelihoods often depend upon the continuing timber trade. Despite its great beauty and important ecological status, Peru’s Amazon is a place of great violence, and not just against the environment. Illegal logging and mining companies have been responsible for forcing indigenous communities from their lands and, in only the most dramatic recent example, the members of an indigenous community who had heretofore opted to live uncontacted by the outside world were murdered. The murder in 2014 of Edwin Chota and three other activists for campaigning against deforestation and illegal logging further highlights the human costs inflicted on those who get in the way of this vast industry. The Amazon is an essential ecological resource that holds common benefits for people across the region and worldwide. 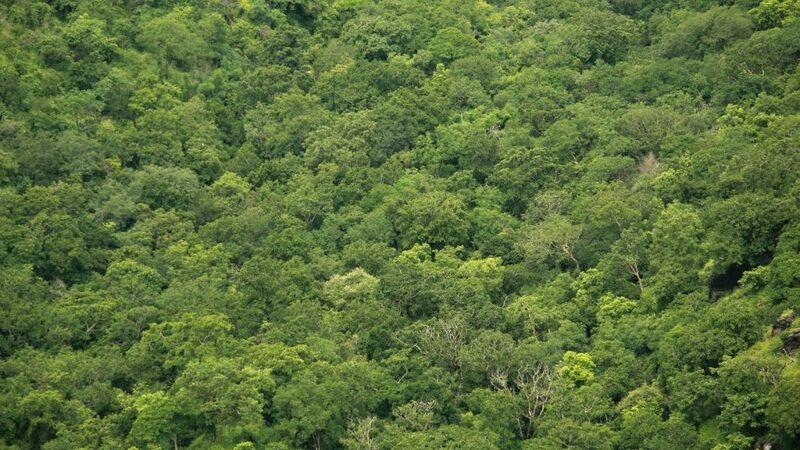 This vast forest plays a key role in sequestering carbon from the atmosphere, thus helping to mitigate our contribution to enhancing Earth’s greenhouse effect and limiting global warming. Not only this, but forests play an important role in local rainfall patterns. When it rains in the Amazon, the vast majority of the water that falls is intercepted by the leaves of plants and evaporates back into the atmosphere shortly after. When the trees are removed a greater quantity of water runs over the land surface and flows out of the area via river channels. Consequently there is less moisture available for evaporation which can lead to smaller clouds that lack the capacity to create rainfall events. Amazonian deforestation is considered to have been one of the causes of the 2010 drought that struck parts of Brazil, and is also held responsible for the increased number of wildfires being seen across the region. At the COP23 UN climate talks in Bonn over the past two weeks, forest management has been an important topic of discussion. As Inger Andersen, Director General of the International Union for the Conservation of Nature, said at the meeting: ‘Protecting and restoring forests can contribute over one-third of the total climate change mitigation required by 2030 to keep the temperature rise below 2 degrees Celsius’. The UN suggests that illegal logging is the most economically valuable of all environmental crimes, causing around US$50 billion per year in economic damage. So far, although deforestation has featured prominently in discussions at the COP23 talks there have been only limited commitments. Corporations such as Walmart and Mars have committed to work towards reducing the role played by deforestation in their commodity chains, and an Ecuadorean proposal to reduce emissions in the forest sector by 15 million tonnes of CO2 has been adopted. More important might be the continued efforts to work towards implementation of the New York Declaration on Forests, which 130 governments, companies and civil society groups have so far endorsed, pledging to halve forest losses worldwide by 2020 and committing to ending forest loss by 2030, as well as restoring around 350 million hectares of lost forest. This could have a significant climate benefit; however, it is merely a non-legally binding commitment, and it is thus hard to see where real action to meet these targets will come from. The $2.1billion in private investment funds that has been promised to support forest restoration across the Caribbean and Latin America at COP23 will certainly help, but in the face of continued illegal logging it remains insufficient. Forests currently remove around 30% of man-made carbon emissions from the atmosphere, as well as playing vital roles in sustaining the human communities living in or near to them. At COP23 Janio Sangama, of the Kichwa tribe from San Martin in the Peruvian Amazon, suggested that incorporating indigenous ways of ‘looking after the management of our resources in a more orderly way’ could be an important step towards sustainable development in the rainforests. In the face of open violence by the agents of deforestation, much more needs to be done in order to support indigenous communities and enable them to play a leading role in the sustainable management of the Amazon. It remains to be seen whether any firmly binding commitments will come out of the COP23 talks that will have a real, material and long term impact on reducing forest loss and increasing the restoration of degraded forest areas. For all the talk, signs of really meaningful action have so far been slight. And in the face of a global illegal logging industry that operates seemingly with impunity, it is hard to see how a few comparatively small investments here and there can compensate for the daily losses being inflicted on the Amazon. Truly serious work to reduce deforestation, then, might need to focus less on what is happening at COP23, and more on the failure so far to prosecute the business people and officials involved in illegal logging across the Amazon. In this sense, the Yacu Kallpa case is emblematic of a failure to clamp down on illegal logging out of both fear for the economic implications that might result from putting pressure on the timber industry, and out of the simple greed that has driven the bribery and corruption that goes hand in hand with illegal logging. If we are serious about ending deforestation, we must support the calls by Global Witness and others for full prosecutions to be brought against all those – business executives, middlemen, and local and national officials – involved in the Yacu Kallpa case.